You don’t have to buy fancy clothes for your child to wear on New Year’s. Help him remake an old comfortable T-shirt by adding decorative dress-up wear accents, such as necklaces, bowties, or bows. Gone will be the battles that often come with convincing your child to wear fancy clothing. He'll delight relatives with his casual-cool get-up, and best of all, he'll stay comfortable all day. With your child, carefully read the directions on the fabric crayons. Some will allow you to colour directly on fabric, then iron the shirt to set the design; others may require you to draw on a separate sheet of paper and iron the design on the shirt. 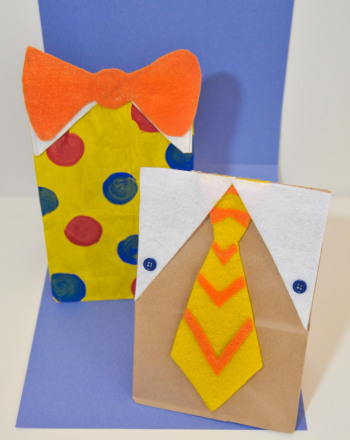 To make a boy's dress-up shirt, have your child draw a black bow tie near the neckline of the shirt. Ask him to decorate the shirt with the fabric crayons however else he'd like. 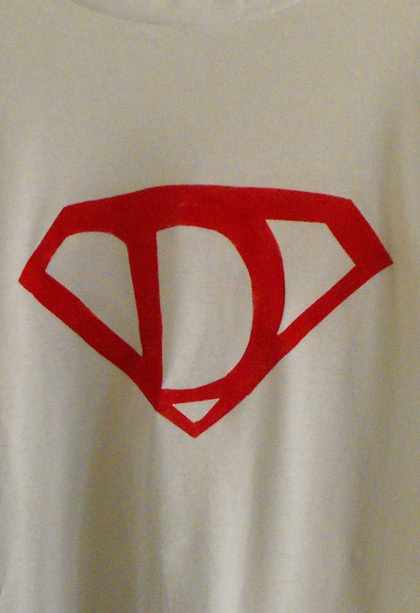 Suggest that he draw buttons down the shirt, or write “Happy New Year!” on the front. 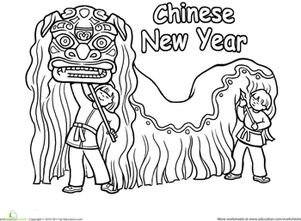 To make a girl's dress-up shirt, have your child draw decorative designs such as flowers or bows, and also write “Happy New Year!” on the shirt. Suggest that she draw a necklace around the neckline. When your child is finished, set the designs by ironing the shirt, according to the instructions that came with the fabric crayons. 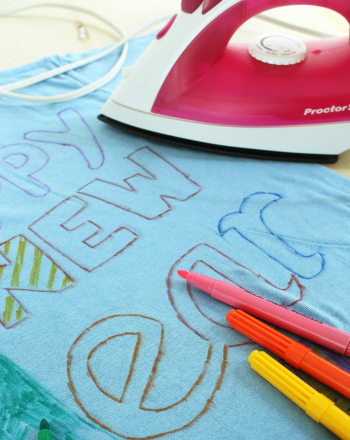 Now your child's dress-up clothing for a New Year’s party is complete. Have a happy new year!